The Hadley earrings redefine the evening accessory, evolving twilight glamour into a whole new league of their own. A monochromatic-noir palette of various faceted beads and crystals are showcased in a symmetrical drop design on a post closure. 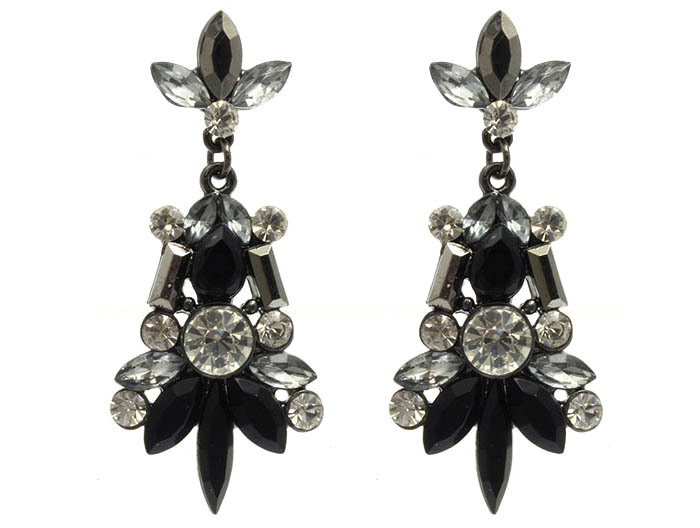 Falling from your ears in a style that will ensure you are never off-trend.